Epson unveiled two new compact photo printers – PictureMate PM260 Dash and the PictureMate PM290 Zoom – targeting the home users who don’t want to go photo store to get professional photo prints. Both devices are selling for $99.99 and $199.99 respectively. The two new PictureMates are capable of printing 4×6-inch borderless pictures as fast as 37 seconds per picture. 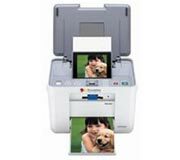 Both printers feature 3.6-inch color LCD displays that allow choosing and editing the photos to be printed. Some basic editing options are available to help improve images by removing the red eye effect or cropping unwanted segments out. The two devices offer 18 page layout options, including five new portrait layouts, all without needing a computer. Also, color filters are supported to create monochrome and sepia-toned prints. Epson PictureMate PM260 Dash and Epson PictureMate PM290 Zoom are PictBridge-enabled and have built-in memory card slots for most popular memory card types. 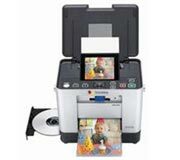 The printer can also be enhanced with a Bluetooth module for wireless image transfer. What makes one compact photo printer different from the other, is that Epson PictureMate PM290 Zoom has a built-in CD-recorder, so images can be recorded directly to a CD from memory card. This entry was posted on Monday, September 10th, 2007 at 4:06 am	and is filed under Epson, photo, printer. "Remanufactured Cartridges: Truth and Myths"
"OKI Announced New Monochrome LED Printers"